Since it was released in 2013, the song entered in charts of more than 20 countries in the world, reaching the number 1 in Norway. 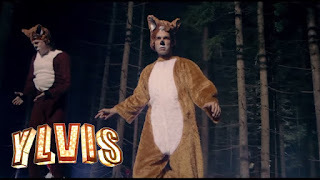 A really joking song created to make fun, by the comedy duo Ylvis. If you want to know the rest of the participants for the best Funny song ever, just go to the Top 50 world Funniest videos or check all Top 50 World Spécial that we have in our website! So, do you know what does the fox say?